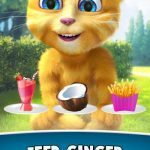 Talking Tom sure has learned to do a lot more than just talking. Join him in Talking Tom Jetski 2 as he races through the water once again along with his friends. This hit sequel has just been released for Android and iOS devices courtesy of Outfit7, but it is already making waves. 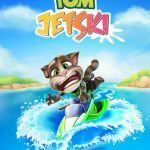 You get to ride jetskis once more as one of your favorite character from the Talking Tom series. Choose from Tom, Angela, Ben, Hank, and Ginger! There are also over 25 jetskis to choose from, each with its own unique style. Don’t forget to customize them with special parts that can help you win in every race. Winning will reward you with mysterious chests that are filled with various rewards. Race your friends in different locations, including Angela’s Beach Resort, Ben’s Science Lab, and Ginger’s Sandcastle. 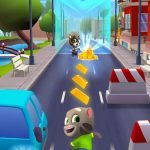 If you find yourself struggling to get ahead, just check out our Talking Tom Jetski 2 cheats, tips and tricks and you will dominate races in no time! The goal of Talking Tom Jetski 2 is to win races, nothing else. That means you should ignore the coin trails that you see in the game. Trying to pick those up will only cause mistakes. Avoid making tight turns because it will make it difficult to control your jetski. In fact, you should try to avoid making turns as much as possible. If you need to make turns, adjust your position in such a way that would minimize the angle of your turns. Turning will make you slow down. This is especially true for the Hot Rod since it gains a speed boost for staying on a straight path. The Seaplane also benefits from riding straight as it flies whenever you drive straight for some time. Keep an eye on your speed meter to ensure you are going at top speed. There are two exceptions to this rule, though. The Sea Snake jetski actually gains speed when you make turns, making it perfect for players who just can’t sit still. The second special jetski is the Low Rider. This jetski does not lose speed even if you turn, so you can use it if you want to try to win races while picking up coins. You can win races, or you can farm for coins, but you can’t always do both. If you decide that you would rather focus on coins first, feel free to do so. Just enter a race and prioritize all the coin trails you see. You should also keep an eye out for question marks scattered throughout the course for a chance to pick up a magnet. Magnets automatically pull coins towards you, making it easier to pick everything up. The magnet’s effect lasts for about 30 seconds, so make the most out of it as much as you can. As we mentioned above, you can drive as one of the other characters from the Talking Tom series. You can unlock them for free, but it will take a bit of work. To unlock a new character, you will need to reach certain milestones in construction. Just head over to the beach and start building whatever is available. Keep the construction going until you fill up the bar needed to unlock a new character. The best way to get new jetskis in this game is by unlocking the chests you get as rewards. The rewards are completely random, so you may need to open quite a few before you can find the perfect one. You can also upgrade your existing jetskis with the items you get from the chests. Speed and acceleration may change but handling will always stay the same regardless of upgrade. Just pick the right speed and acceleration that best suits your play style. There is no point in maxing out speed if you cannot handle it. When you begin a race, you will have a starting meter. Make sure you pay close attention to this because it could potentially determine whether you win or lose. You want to fill the starting icon with green as much as possible. Just don’t go over or you will end up with a really bad start. Getting a full green icon, however, will earn you a Perfect start. This will give you a massive lead at the beginning of the race. After that, it will just be a matter of maintaining your lead. One of the reasons the Seaplane is such a great option is that it flies over obstacles. If you are not too good at dodging, you may want to get on the plane. Small obstacles in this game such as buoys, boxes, signs, and barrels will slow you down considerably. Even worse are the big obstacles like rocks, boats, and piers. Crashing into these will immediately end your run, so be careful. Pillow Power and Tropical Storm are crash-resistant options if you are struggling to keep the Seaplane in the air. You can also just lean into the bumps by using Rubber Duck, Bumper Car, and Pinata since these three give you bonuses every time you hit an obstacle. There are other jetskis in Talking Tom Jetski 2 that give you benefits. If you are not particularly worried about crashing or turning, you can opt for jetskis that give you bonuses for picking up certain items. The Melon Twist, Case Chaser, and Spike jetskis give you bonuses for hitting fruits, suitcases, and inflatables. You will see a blue glow around the items that will give you bonuses, so just keep an eye out for these objects. Aside from the Magnet, there are several other power ups that you can get from the question marks. The Double Coins power up double the value of all coins you pick up. You also have the Submarine and Glider power ups that give you a nice boost forward, allowing you to pass obstacles with ease. Use these strategically in order to steal first place from whoever is in the lead. While power ups are completely random, some jetskis can influence the outcome to a certain degree. The Flying Fish and Red Dragon jetskis both increase the chances of getting Submarines and Gliders. If you are behind, avoid staying right behind your opponents. Opponents do not pick up coins, but they do pick up power ups. Staying directly behind them will mean they get first dibs on all power ups in your path. On top of that, it will be impossible to overtake if you don’t choose a different lane. Try to always choose a different path to increase the opportunities to get ahead of your opponents. We have mentioned several jetskis above, each with its own special power. Aside from the ones we already suggested, there are still quite a few jetskis that can help you out depending on what your goals are. Make sure you consider the special power of jetskis when selecting which one to use and upgrade. For example, if you really just care about getting a whole lot of coins, you could opt for the Recycler or Jetski Royale since they both give good cash bonuses. Don’t forget to upgrade your favorite jetskis. It will cost you a lot of coins to max them out, but it is a worthy investment since you will be able to win more races. There is no best jetski, but there is a good one for every situation. It is all a matter of using each jetski’s power correctly. There are several types of chests in the game, but what they all have in common is that they take time to open. Make sure you always have a chest queued up to open, so you have a steady flow of rewards coming in. Remember, you only have limited slots for chests. If you leave them unopened, you will run out of space. Any additional slots you earn will go to waste. You can use Diamonds to instantly unlock chests, but that would be a waste of premium currency. An alternative is to use the Pirate Ship jetski in order to enable its power that speeds up the opening of chests. As we mentioned above, there are several locations available for you to race in. You can unlock these new locations the same way you unlock new drivers. You just need to keep constructing your beach house. Once you complete a beach house, you will be able to unlock a one-on-one race. Winning in this race will give you access to the next world as well as the next beach house that you will need to construct. Keep on completing beach houses until you have unlocked all the different worlds! 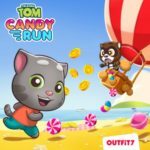 Racing jetskis is a lot of fun, especially when you rely on our Talking Tom Jetski 2 cheats, tips and tricks to keep on winning! If you know other tips for the game, that we haven’t mentioned in this guide, let us know below in the comments!